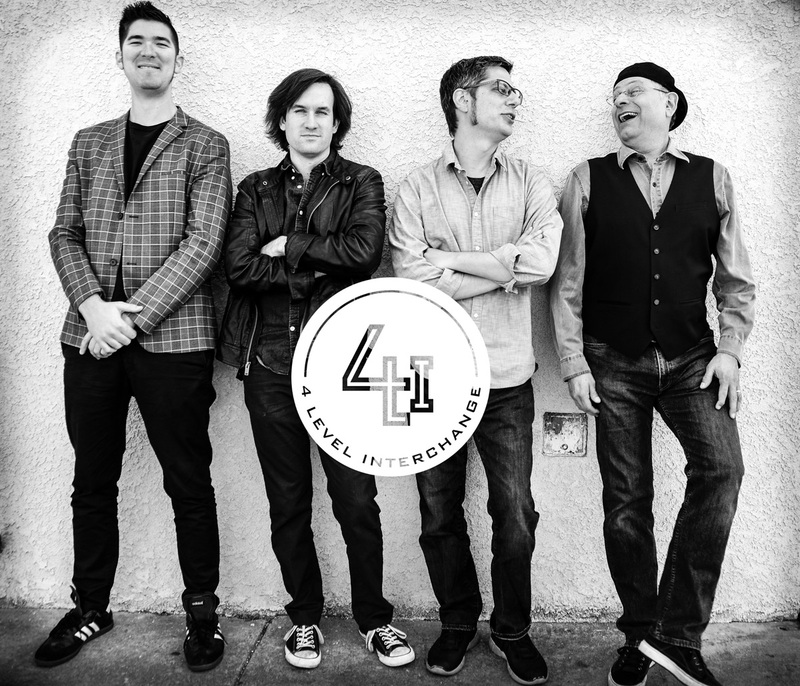 4 Level Interchange is a top-notch fusion band based in Long Beach. Led by keyboardist Jim Simmons, the quartet also features guitarist Will Brahm, bassist Ray Enix and drummer Jason “Rosy” Rosenquist. On their debut recording The Closer, they perform a set of Simmons’ originals plus one piece by Rosenquist. The set begins with “Intro,” a performance piece which sounds very much like someone switching between radio stations. Along the way one hears a bit of solo piano, some noisy static, and a traffic report that concludes with the words “4 Level Interchange.” The music then immediately starts with “The Closer” which sets the standard for the program. Bassist Enix plays the melody, Simmons hits some long tones on the organ, and the music gets funky. While the bass and drums set patterns, Brahm creates some hot and speedy guitar licks while displaying a rockish sound. Simmons wails a bit on his synth and the catchy melodic riff takes the song out. The comparatively relaxed “Back Room View” and “No Hope Reef” (which features some wailing guitar) both have infectious themes. While Simmons and Brahm are featured as soloists throughout the set, the very active bass-drums playing of Enix and Rosenquist keeps the rhythm consistently stimulating. Fans of high quality fusion (such as Allan Holdsworth, Tribal Tech and Steely Dan) will enjoy hearing this colorful band and the music that they perform on The Closer. The 4 Level Interchange (4LI) is a Fusion Jazz/Rock ensemble based in Long Beach, California. The 4LI meld their influences of funk, post bop, rock, and world music into compositions that serve as a basis for improvisation and group interplay. The band sound is a combination of Traffic, Steely Dan, Miles Davis, King Crimson and Pat Metheny. The band began in 2005 as a project for college recitals of Jim Simmons and has developed into a versatile quartet capable of playing with subtlety or with the furor of a rock band. Veteran keyboardist and mainspring Jim Simmons has been a staple in the music scene for over thirty years. He received his Masters of Fine Arts from the University of California Irvine in 2007, studying under virtuoso pianist/keyboardist and Miles Davis alumni, Kei Akagi, and performing with Darek Oles, Dr. Bobby Rodriguez, Joey Sellers, and Charles Owens. He has also performed and recorded with various artists and groups including contemporary jazz guitarist James Christopher, avant-garde jazz bassist Anthony Shadduck, Children’s music artist Renee Smith, Groove Therapy, and country singer Johnny Lee, along with numerous recording sessions and song-writing credits. He is currently faculty at Long beach City College, Cerritos College, Cypress College, and COSMOS Summer Math and Science Program at the University of California, Irvine. Drummer Jason “Rosy” Rosenquist has performed all over the world, including 49 states and locales such as Panama, Japan, Canada, Mexico and Ukraine. Sought for his versatility across a broad range of styles, Rosy has shared the stage with American Idol contestants Katharine McPhee and Chris Sligh, Christian recording artists Steven Curtis Chapman, B. B. Winans and Michelle Tumes, jazz legends Von Freeman, Stanley Clarke, Dave Koz and Poncho Sanchez, pop artists Vanessa Carlton and Evan and Jared, and rockers Fishbone, Brian Setzer, Dave Wakeling, Eighth Day and Reel Big Fish, among others.